THE question of whether or not South Africa’s patchwork national anthem has succeeded in fostering national unity has come up again after the Economic Freedom Fighters (EFF) decided to do what they do best, stirring the hornet’s nest, just over a week ago. Other than proposing the radical and, frankly, impractical solution of slicing away the Afrikaans and English parts of the anthem, the EFF cannot lay claim to being the first to question the practicality of our national anthem as a post-apartheid unifying tool. Over the years, the anthem has been called many names by many people. And there are still people on both sides of our historic divide who refuse to learn the words from the other side; whites who can still not sing beyond the first line of “Nkosi Sikekel’ iAfrika” (God Bless Africa) – ‘because the words are just too difficult to pronounce’ – on one hand and, on the other, blacks who cannot sing beyond the first line of “Uit die blou van onse hemel” because, well, ‘the song reminds them of a past many are still struggling to mentally leave behind’. Besides, as someone told me recently, “it’s now up to the whites to show some effort at acknowledgement and reconciliation; we blacks have already been pushed by Nelson Mandela to bend over backwards”. In fact, many black people would rather skip the Afrikaans and English versions of the national anthem, and they do so whenever it feels safe. But this might well be restricted to a slowly ageing generation of people who grew up during the harsh years of apartheid. In the same vein, I cannot find any reason to believe that there are no whites who uncomfortably mumble their way through the “Nkosi Sikelel’ iAfrika” part of the anthem, eagerly waiting to get to the “easier-to-pronounce” Afrikaans and English parts, also possibly for other reasons. This scenario probably even gets worse when it comes to those South Africans who still insist that they were not white enough during apartheid (assumption: they tried to be white), and they’re not black enough now, after apartheid. But former president Nelson Mandela is no longer here to keep an eye on us and to admonish those who refuse to make an effort, and Archbishop Emeritus Desmond Tutu is too ill, too old, and too tired to remain the lone voice of reason in the desert. We’re now left on our own to either use what we have to make this national unity thing work, or find something else to help us start all over again. Walking away is not an option! Die Stem was composed as a poem by C J Langenhoven in 1918 and set to music by Reverend Marthinus Lourens de Villiers in 1921. Between 1938 and 1957, together with God Save the King, it served as South Africa’s co-national anthem before assuming this role on its own from 1957 until the end of apartheid, in 1994. Nkosi Sikelel’ iAfrika was composed much earlier as a church hymn, in 1897, by Enoch Sontonga, a Xhosa man of the cloth. It had to wait for the end of apartheid in 1994 to finally receive official recognition as South Africa’s national anthem, alongside Die Stem. Prior to this, the song was adopted by various anti-colonial and anti-apartheid movements who had bestowed upon it the title of official pan-African liberation anthem. The ANC in exile also considered the song as its anthem, using it to lead many marches and solemn events throughout the anti-apartheid diaspora. It was also adopted by five African countries, including Zambia (1964-1973), Namibia (briefly in 1990) and Zimbabwe (1980-1994) as their national anthem. Tanzania adopted it soon after its independence in 1961, followed two years later by the Transkei in 1963. To this day, the song remains Tanzania’s national anthem even after both Zimbabwe and Namibia switched to other songs. As if our historic divisions were not enough, our patchwork national anthem is now facing an onslaught by another group of South Africans, including this writer, for entirely different reasons. 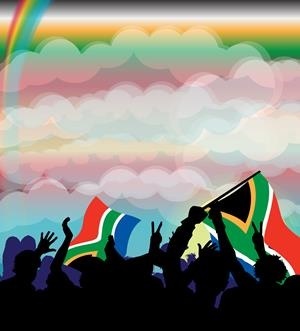 Many secularists and secular humanists believe that the anthem’s appeal to God is contrary to the spirit of South Africa’s secular constitution. Why, they ask, must they be made to call on a God they do not believe exists? Note that I haven’t even touched the voice of those who hate the notion of “nation states” and do not believe that we need to have a national anthem in the first place as, according to them, national anthems serve only to build and reinforce artificial boundaries between groups of humans. But that is a topic for another column. Given all of this mess, isn’t it time that government launched a fresh call for a national contest that, like in Namibia (1994) and elsewhere in the world, would culminate in a totally new national anthem that will finally bring us all together, for our own sake and that of our children? I’m just asking.